A lot of site owners spend a lot of money on SEO. But once you have traffic, then what? How do you entice visitors to make a purchase? That’s where conversion optimization comes in – converting visitors to buyers. Here are 25 low- and no-cost tips used by the pros to boost conversion rates. Try them. You’ll like what they do for your bottom line. A “valid” site is not always the best site for users that visit it. Even amongst the savviest of coders and developers there has always been a common misconception about the value of web standards themselves. The idea of “keeping it super simple” (or other popular variations), when it came to the world of markup once revolved around spacer images and table-based presentation oriented markup. It seems that either as a beginner or a seasoned web professional the role of standards themselves became overrated, since even the less markup of yesteryear still validated. The balance of the confusion over the value of standards begins with the fact that web standards are not consistently supported amongst popular user agents, why should we bother working with them — why all the fuss? Regardless, the true value of web standards is as a stepping stone and the leverage it contributes to a well-conceived web site inside and out. In short, the goal is to use the minimum code to achieve the desired result. Unfortunately, clients may not always afford us the proper time or resources required to give the most polished result possible. Web standards in and of itself does not necessarily contribute to reduced file sizes, however what it does do is endorse healthy use of semantic markup that does give way to reduced page weight through table-less markup and a focus on cascading styles sheets for presentational material. By using document object model scripting, procedural code no longer needs to live inline in the html document itself. Take advantage of your page’s semantic structure to use the DOM to the fullest. Code becomes art when we take our code to the next level by re-factoring it to maximize it accessibility, by reducing our dependency on the markup for presentation and procedural user interface components. What remains to be done when all of the content in a document is rendered as the design calls for, content properly described with your tags, images optimized for reuse and weight? Now, we consider scale, what happens when this site we’ve worked so hard to optimize becomes highly trafficked (think: Digg Effect) — or if the site already is, let’s make sure to optimize the server’s role in the user experience. Unordered Lists for navigation, breadcrumbs and copy in list items. Cache these compressed versions of the combined files on the server so that every page view requested doesn’t require the web server to have to prepare the same files over-and-over on-the-fly. Instead the server can send static files immediately (which it can do with tremendous ease). With the various techniques we all apply to our projects just adding a few more steps of optimization greatly improves the user experience. Standards simply help us agree on what markup is intended to do and how it’s elements work together for describing content, web site optimization picks up where web standards leaves off. 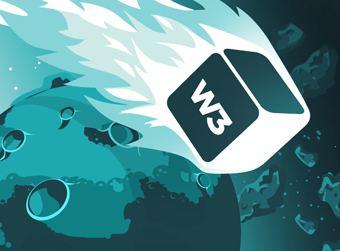 The W3C encourages us to use markup to describe the content and separate the presentation and functionality from markup as much as possible. Once we get used to the idea our time is best spent optimizing our code to work in the real world. I’ve intentionally left out the “how” because that’s an ongoing debate whose conclusions are at best situational. There are quite a few frameworks out there that help developers apply many of these principles to their projects right out-of-the-box, but it’s not too difficult to build your own framework for your own style of work. So what’s the final word? Well, similar to the stance that Ethan Marcotte put forward I suggest that web standards be the baseline that we use to optimize sites to perform for the targeted user agents. One day it may be easier to leverage standards to achieve a predictable user-experience across all user-agents, but for now it’s best to have more skills and mastery than are required to render a job well done. Site success is often based on tweaking, which can be costly in the long run. If you’re still tweaking six months into the game, something’s just not right. Google’s Web Optimizer helps walk you toward measurable results, easily. How about a tool that gives you information that will increase site’s performance, delivers advice from an “insider’s” point of view and is free? Google’s Web Optimizer puts the best face on your site, so partner with the world’s most popular search engine to get the most out of your traffic. The most desired action (MDA) is the reason you’re on-line and getting visitors to perform the MDA, regardless of what it is, takes some understanding of both site architecture and human nature. Improve the odds that the MDA is accomplished with these easy-to-implement tips. A landing page has a specific purpose — to initiate the most desired action (MDA). Here’s how you can create landing pages that deliver the MDAs you’re looking for. Eye Ball Optimization. Most Desired Action. There are plenty of SEO strategies that actually work against making a sale. If your site isn’t eyeball optimized (EBO) it isn’t optimized, period. Remember, no search engine ever bought anything on-line.